Internet connected devices are becoming increasingly common in our daily lives, from voice assistants such as Amazon’s Alexa, to smart meters or fitness monitors. Like all disruptive tech, the Internet of things (IoT) has quickly become the new normal in our everyday lives. 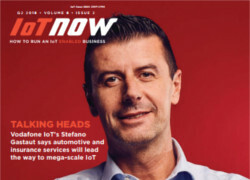 But, businesses are still discovering what IoT can do for them, and how to make it work for them, says Anthony Sayers, Internet of Things Evangelist at Software AG. As the IoT continues to evolve in so many ways, we have started to question if it will “mature” in the same way that other technologies, such as cloud computing have already. Or, will it say forever young, constantly re-inventing itself? Is the IoT in fact the Peter Pan of technology? Will it ever grow up? To understand if IoT will ever truly “grow up”, we first need to understand at what stage of the journey organisations are implementing IoT – and ensure we are aware of which direction they are planning to move. Of course, no one organisation’s IoT journey will be at the same stage; Gartner identifies five levels of IoT maturity to assess how far businesses have come in their journey, and indeed how far they have yet to go. So, is IoT maturing or will it remain forever young? According to Gartner, the five levels of IoT maturity can be mapped across the seven dimensions of maturity, all of which are interconnected. This means that to progress between stages, all dimensions including fast data ingestion, contextual awareness, situational intelligence, predictive analytics, prescriptive analytics and intelligent action must be taken into consideration. At the moment, most businesses are situated anywhere between stage one and stage three. Most organisations have only just started connecting everything to one central system. This means that processes are no longer operating in siloed conditions, but that businesses are now focused on learning about what their environment is like – so that they can progress to eventually working in a more data-driven landscape. However, this is starting to change and we are beginning to see companies navigating their way into stage four – a crucial step to achieving IoT maturity. Typically, companies are now beginning to realise that they need to integrate their IoT projects into the company’s overarching strategies. This is the ultimate turning point in ensuring IoT “grows up” to create truly seamless, connected experiences. Once we are able to implement IoT successfully in this way, it will become engrained so seamlessly that we will stop noticing it as an add-on technology enabler. This is where we are beginning to see organisations transitioning; business models are starting to take both the predictive and prescriptive elements into consideration. 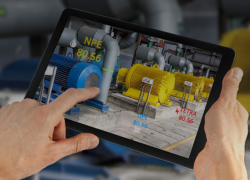 This means connecting all data points to achieve a predictive maintenance strategy. A great example of a company already doing this is Royal Dirkzwager. As the European leader in providing information and communication technologies to the maritime-logistics market, the company tracks nearly two trillion ship locations a year, for 800 maritime organisations, in real time. By taking an integrated approach to IoT, the company has enabled accurate, customer-accessible ship ETAs, reduced new service turnaround time and increased real-time message handling. This is a great example of how IoT can be used to deliver notable benefits directly to customers, in a more integrated fashion. It’s all about offering innovative logistics products and in record time. 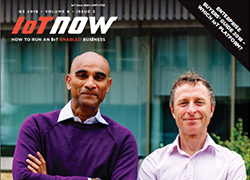 Organisations usage of IoT technology is at a crossroads. Some are still in the infant stages of making it work for them, focused on ensuring everything is connected. Meanwhile, others are focused on developing a more integrated business model, making IoT central to their business operations . Whilst IoT may be described as the Peter Pan of technology right now, as businesses cross over into a more integrated approach, they will be on the road to achieving IoT maturity. IoT will have truly grown up when it can be seamlessly implemented and used to intuitively solve problems that all businesses face.